Donate to Support School Choice! Thank you for signing to support school choice! Will you now donate to help me spread the message across Texas? If you would prefer to mail your donation, please send a check made payable to Friends of Donna Campbell to the address below. **Note: For accounting purposes, please include your name, occupation and employer on the check. State law requires candidates to use best efforts to collect and report the full name and address, principal occupation or job title, and full name of employer of individuals whose contributions equal or exceed $500 in a reporting period. 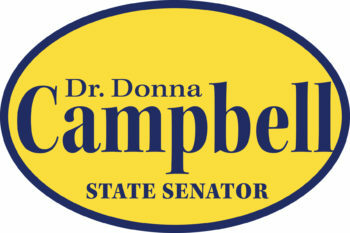 Contributions to the Friends of Donna Campbell are not tax deductible for federal income tax purposes.